Last week myself, Lily and Amy all attended MCM Birmingham Comic Con. It was something we decided fairly last minute and as such we decided to wear “put together” costumes instead of handmade ones. 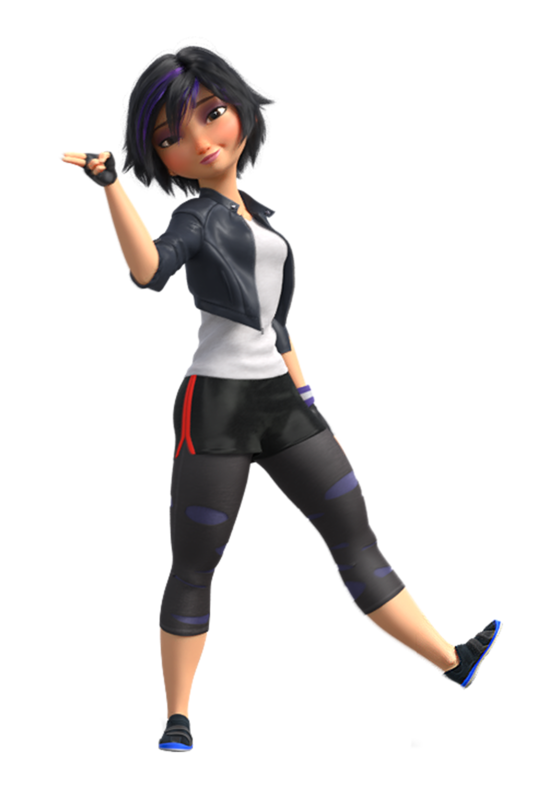 I’d previously posted about putting together a cosplay costume, where I’d showed you how I intended to make a Gogo Tomago outfit out of clothes bought from the high street. It was this that decided us on Gogo and Honey Lemon from Big Hero 6 and since I sell a Baymax dress at Closet Geek, Lily wore this to go with us. Though I definitely didn’t feel as happy dressing up in store bought clothes as I do when I make it myself, it was still a lot of fun to do. Amy and I both wore wigs and while they weren’t as nice as some of the wigs we’ve previously worn, they did the job. Majority of both mine and Amy’s costumes were bought on Ebay, though we both did make alterations. While I don’t know how much hers cost to put together, the total cost of mine was around £40, plus the wig. I have to admit I did feel a little fat in it and I didn’t really think of Gogo being sporty until I was actually wearing the outfit. I was pleased at how easily it came together but sadly I don’t think I’ll wear it again. Luckily I was pleased with the selfie instead! Lily on the other hand looked cute as a button! (excuse my washing in the background!). Bit behind on my round up this week so I’m going to make it quick. As suspected, last week was busy. I had a fairly lazy Monday while the girls were at school and Chris was at work, but after that it filled up pretty quick. On Tuesday morning I worked at school in the office, came home and blogged plus had a bath. I spent the evening reading a book and by the following day I was finished with the book! You can read my review about both Marked and Claimed here. Wednesday I was at school again, just for the morning but then I headed home and started to paint my nails while catching up on TV. The girls were both going to friends’ houses after school so that gave me longer to myself but it did mean I had to turn out to pick them up and by the time we got home it was pretty much time for them to go to bed. I spent the evening finishing my nails and watching some TV. I also got ready for the next day which was Lily’s school trip – charging my camera and packing lunches. The next day we were up early, I dropped Megan at her Grandma’s and then went to school with Lily and on her school trip. We went to Yorkshire Wildlife Park and it was a really nice day, despite being freezing cold. However the whole day was exhausting and I was fit for nothing once we got home. On Friday it was another busy day – SHARE at school, followed by a picnic Family lunch. I nipped off shopping in between the two so it was a constant go day but it was especially nice to spend time with the girls and then be home by about 2.30pm. When we got back, Megan and I made a point of finishing off our Florida scrap book and then the three of us even walked into town to get a frame for her Baymax artist drawing. When we got back I put it on the wall which seemed to really please her. On Saturday, Chris was at work and the girls and I had SUCH a lazy day. I did nip out to get a parcel from the post office but otherwise we did nothing. We even had a takeaway and movie night, to seal our lack of nothingness for the day! That said I did manage to pick a murder mystery for my birthday and organised everyone’s parts. I even printed it all out so I was totally organised. Finally it was Sunday and this time Chris was off too. We still had a very lazy day though, but I did buy some bits for my party and Megan and I stuck the last few things into the scrapbook, making it completely finished. I spent the evening trying out my Starter Pack from Paper Panda which I’ve had since Christmas. I’m not completely sure it’s my type of thing because it requires a lot of patience but I was stubborn enough to stick with it and at least get the first full page finished. This is a picture I shared on Instagram this week, from when we went to Meadowhall on Friday. Outside Yo Sushi was this big Baymax which the girls had their picture taken with. This was great as we’d been to see Big Hero 6 for the second time on Wednesday and the big inflatable Baymax from the cinema had been gone. We were sad as we’d wanted a picture taking with him and this was perfect because it meant we could.